Carisse is a businesswoman and an entrepreneur. She has been self employed since 1987, and joined the financial services industry since 1998. Her passion is to help educate her clients on the importance of financial and insurance strategies and assist them in accomplishing their goals with suitable and appropriate financial solutions. She is acutely aware that change is a part of life and solutions should be able to adapt to both anticipated and unanticipated life events. Job changes, marriages, divorce, the death of a spouse, retirement: these are all times when it is important to re-assess financial goals and strategies. A widow herself, Carisse knows first hand how difficult it can be to move from sharing responsibility for financial decisions to having sole responsibility for those decisions. As a trusted financial professional, Carisse can help ease this transition. Whether building a financial plan or assisting in obtaining a specific financial product, Carisse believes in finding the financial tools and strategies that will best suit the client. Carisse puts great importance in building strong relationships within the community and is an active member of several community organizations as well as her faith community. Carisse has three “20-something” children, of whom she is extremely proud. She loves to travel. She enjoys playing bridge and bunko. 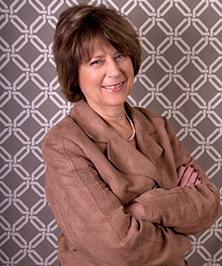 Connie is new to the financial service industry and the newest member of Carisse’s team. Connie has over 20 years of experience in human resources and customer service. She likes working with people and looks forward to interacting with clients. In her off time she enjoys sewing and spending time with her grandchildren. Cheryl Smith has been working with New York Life agents providing excellent customer service for 23 years. She has worked with Carisse since 2009. In her off time, Cheryl is also an accomplished basket weaver and has been weaving both traditional and contemporary baskets for the past 10 years.